drivingandlife: Disco Volante Deja Vu! Back in 2011 I wrote about a special group of automotive artisans based in Milano, Italy, who created a striking shooting brake, based on a Bentley Continental GT convertible. 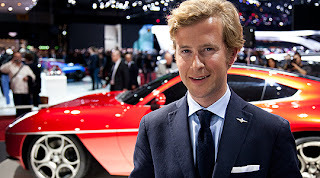 Called the Flying Star, the car was exhibited at the Geneva Auto Salon by Touring Superleggera of Milano. This contemporary expression of bespoke coachbuilding, the Bentley Flying Star, is from a company which was originally founded back in 1926 by Felice Bianchi Anderloni. The craftsmanship of the Flying Star is exquisite, the finish is exemplary, and embodies all of the special legends about the Italian Carrozzeria, created by the great design houses of Pinifarina, Bertone, Ghia and Ital Design. Now, borrowing from a great Italian automotive icon circa 1952, Touring Superleggera has created a modern interpretation of the Alfa Romeo Disco Volante - and it is a stunning and superlative design. Styled by Louis de Fabribeckers, it's based on the platform and mechanicals of the fabulous Alfa Romeo 8C Competizione. 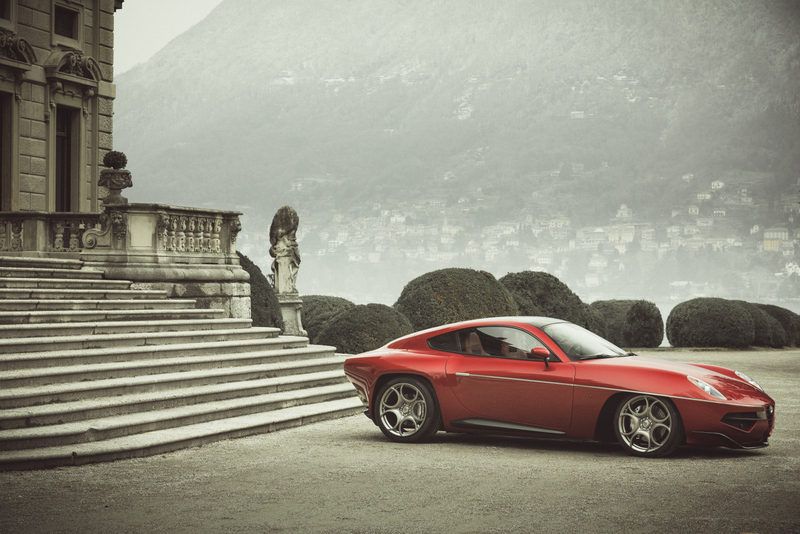 The new Disco Volante (which will only be built in limited numbers to special order) was a huge hit in Geneva this year, 60 years after the original concept also stunned the crowds at the Salon de l’Auto. with its front-central mounted 4.7 litre V8 engine and a transaxle rear drive with unmodified specifications. Each unit, of which the construction requires 4,000 hours of manual work, will be built only on demand. 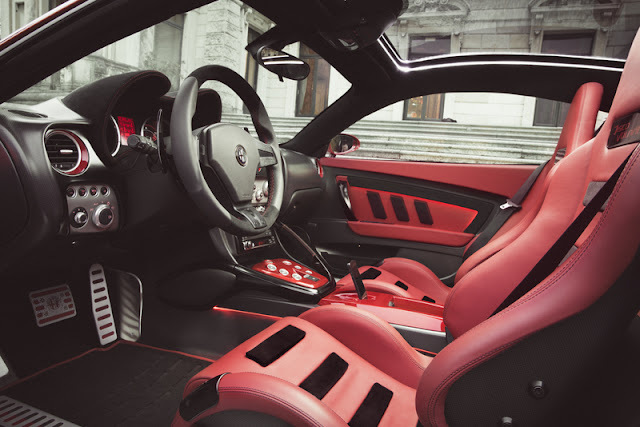 Many elements were changed from the styling study which was presented in 2012, like a slightly higher bonnet needed for the engine bay ventilation. Still, the original proportions were retained, so these changes will be hardly noticed. The final result is even more dramatic and impressive than the original concept. 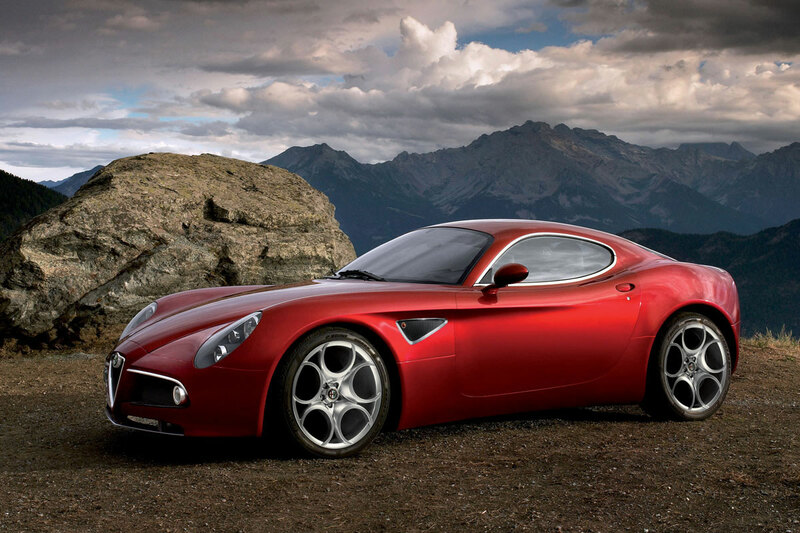 The Alfa Romeo 8C’s steel space-frame and other structural elements were retained to guarantee torsional stiffness, high performance, and impressive integrity. The frame members and the central carbon cell remained unchanged. 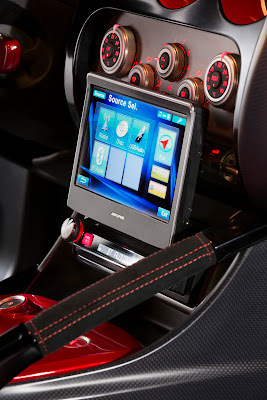 Elements of the underpinning and the body, such as the engine bay and firewall, the windscreen and cowl, the a-pillar and the locks and hinges have been retained too, just as the dashboard and instruments, the pedals and the steering wheel. Parts like door frames, the roof frame and the c-pillar have been modified to match with the new shape. The layout of a front-central mounted engine, a transaxle transmission and rear-wheel drive offers an optimal weight distribution of 49-51% between the front and rear axles. To ensure excellent handling the front and rear double-wishbone suspension scheme is combined with hub carriers of forged aluminium and additional trailing arms for the rear suspension. The lightweight and compact 4.7 litre V8 engine delivers 450HP and 480Nm peak torque. 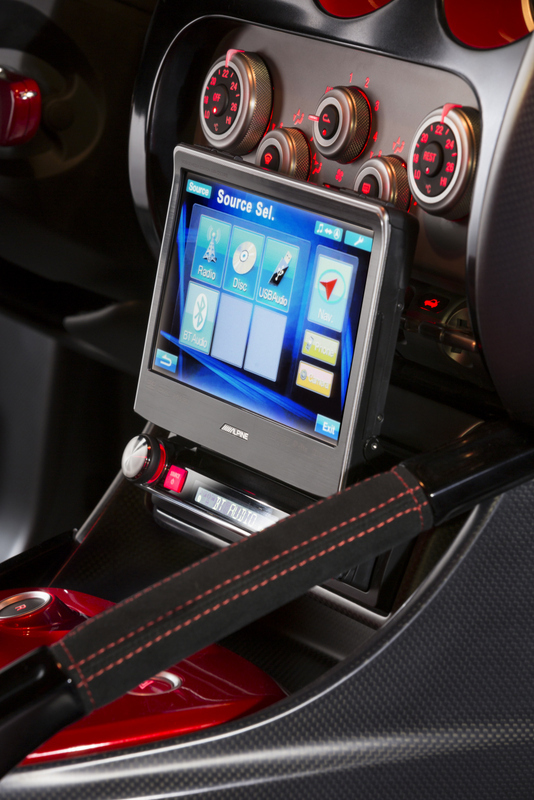 It is coupled with a six-speed sequential transaxle gearbox with electronic control and paddle-shift gear selection. Together with a limited-slip differential and a state-of-the-art braking system with large diameter, ventilated discs a precise, dynamic and proactive drive is ensured. The Disco Volante can accelerate from 0 to 100 km/h (0-62 mph) in 4,2 seconds and has a top speed of about 290 km/h (181 mph). 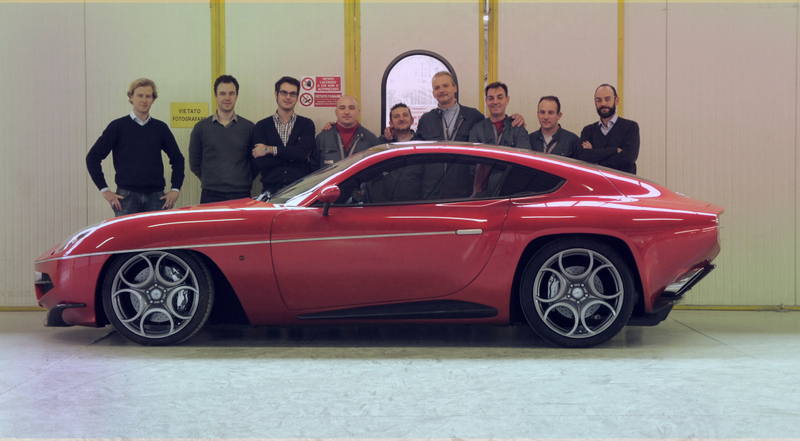 Touring Superleggera is synonymous with the manufacture of lightweight bodywork. The weight advantage of aluminium is one of the assets of Touring Superleggera's construction methods. Nowadays however, the craft of hand-beating aluminium panels is combined with the use of carbon fibre reinforced plastic (CFRP). 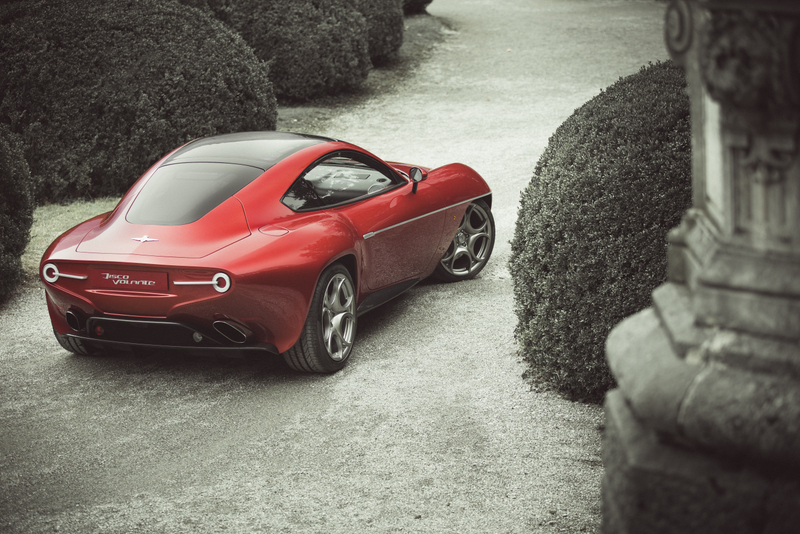 For the Disco Volante, Touring decided to use this combination of aluminium and CFRP. This has been the result of a study conducted to define optimal use of materials for the bodywork in terms of weight, resistance, precision, finish and quality, and ease of repair in case of damage. The CFRP is used for specific components like the front bumper and grille, the bonnet, the skirts, the boot lid and the integrated rear-window frame. The bonnet and the boot lid are sandwich-built with Nomex filler in-between to obtain a better stiffness/weight ratio and to dampen vibration and noise. The aluminium panels are hand-beaten using an epoxy mould. Since the inner frames of most parts of the bodywork are made of CFRP, this requires glueing aluminium to carbon fibre. This technique adds to the rigidity as the adhesive bonding has structural properties. The body panels are pre-assembled on a laser measurement platform using a jig. This ensures that the strict tolerance required is maintained. After adjustments, the panels are either welded or glued. The body-in-white is then used to preassemble and fit all trim components, brightware and moulding. To ensure constant and repeatable quality, the entire production process is documented and digitally logged. Like in series production, there is a quantified manufacturing cycle and a Bill of Materials. Tolerances, measurements and other quality standards are quantified. I don’t need to include details of the quality control standards, because I’m sure the photographs attest to the excellence of the presentation. It gives me huge pleasure to report that there is still a kernel of coachbuilding excellence existing in Italy, and that Touring Superleggera maintains traditions based on a historic pursuit of individuality, innovation and most importantly Italian style! Along with this wonderful online repair manuals Alfa Romeo there are some information I got my hands on about this car. The 4C is the first mass-produced Alfa Romeo car to re-enter into the United States market. The 4C concept version unveiled in the 81st Geneva.